1.0 megapixels HD CMOS sensor. Default adopt 3.6mm megapixel HD fixed lens, compatible with range 3.6-25MM fixed lens. 11PCS #5 ultra-bight IR LED.Indoor IR distance can reach up to 10-15M. with external IR LED,lens is separate with IR,totally solve flash,reflecting and whitening etc.problems. Audio capture and playback functions, it supports two-way voice intercom. Wireless monitor, the Internet can be accessed through WIFI, without wiring, easy installation. PTZ Function,Pan:0-270°;Tilt:0-90°, can remotely control the direction of monitoring, and the scope of monitoring is wider and the control is more flexible. Elegant plastic shape with user-friendly design, beautiful appearance, easy to adjust and install. Cloud monitoring service, Network to penetrate, one-click access to the Internet, easy to remoter monitor. IE,CMS and intelligent mobile APP(Iphone IOS, Android system) for remoter monitoring, PTZ controlling and video playback. Built-in pickup and speaker, Audio capture and playback functions, it supports two-way voice intercom. Cloud monitoring service, easily achieve a variety of network penetration, the user can achieve real-time video surveillance and remote video playback functions through a variety of monitoring terminal to on web. Adopting the newest 1.0 Megapixels OV9712 HD CMOS sensor which presented by OmniVision, and the High-performance processor HI3518C DSP which purely compressed by hardware. IR-CUT switch consists of IR cut-off filter and all spectral through filter.When the IR cut-off filter on, it can block infrared wavelengths which affect the imaged badly at the light sufficient day time, above 95% 700nm infrared can be cut-off, then the CMOS can produce accurate color images, get more pure and softer picture, finally make consistent with human vision.At night, the IR cut-off filter will auto switch to spectral through filter while the light insufficient, then CMOS make full use of visible light to improve performance of low illumination, reduce the noise, clarify the image. Adopting megapixels HD lens with aspherical technology，it can improve the clarity of image edge effectively;multi-layer composite coating way to increase the amount of light penetration, reducing glare and ghosting image, and get the best color.The lens has advantage of the large amount of light transmission, lower noise, higher resolution, further depth of focus etc.The image quality far than ordinary lens. 1.0 Mega pixles resolution, it can provide brightness and colorful video, which can compatible with CCD effect. It can get more clearer image at darker environment for lower illumination cameras.It needs less brightness to distinguish objects than normal cameras. Inferior video cable uses a kind of thin and impurity containing copper core , and the protective coating can be inflammable easily, which will affect the signal transmission and electricity utilization seriously;however, professional vedio cable adopts pure thicker copper core, with the flame-retardanting of protective coating , it makes sure the vedio transmission more stable and electrical utilization more safe. 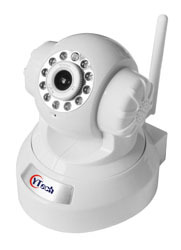 It’s a video surveillance system based on cloud computing and cloud storage technology, wherever there is network, no need to do any setting, DVR cloud terminal will automatically register the video surveillance cloud server which distributed around the world according to the principles of nearest and load balancing.Only needs through the Web, the user can easily enjoy the real-time video surveillance and remote video playback function through a variety of monitoring terminal (PC, mobile phone, PAD, etc). Support Android, Iphone IOS system mobile phone remote monitoring. With dual stream, both the image quality and transmission quality can be guaranteed in the existing network bottlenecks, it support network self-adapting technology to adjust video frame rate automatically according to the network bandwidth, easy to achieve the HD video saved in the DAN and transmited at lower stream;or use main stream when the conditions allowed such as IE/client, and use complement stream at the PDA mobile remote view. Note:main application of complement stream:multi channel live minitoring, mobile phone remote view when the network condition is not good. This camera is equipped with infrared lights. It will automatically open infrared light to compensate ambient light in low-light environment. Note: If not mentioned,the price not including the storage. Copyright © 1998 - 2011 CYTech. All right reserved.